The leading cause of death in the world is heart disease, which accounts for over 17 million deaths per year. If someone shows signs of a heart attack, it is important to phone 9-1-1 as soon as possible, even if they refuse help or don’t want you to call. Treatments for heart attacks are more likely to be successful if they are used quickly, so the first minutes of the attack are the most important. Heart attacks and Sudden Cardiac Arrest Although they are commonly thought to refer to the same condition, the terms heart attack and sudden cardiac arrest refer to two different heart problems. A heart attack occurs when blood flow to the heart is blocked by a clot. During a heart attack, the heart usually continues to pump blood. A person suffering a heart attack may have pain or discomfort in the chest, neck, jaw, arms, or in the back between both shoulder blades. The longer a person suffering a heart attack goes without treatment, the greater the potential damage to the heart muscle. 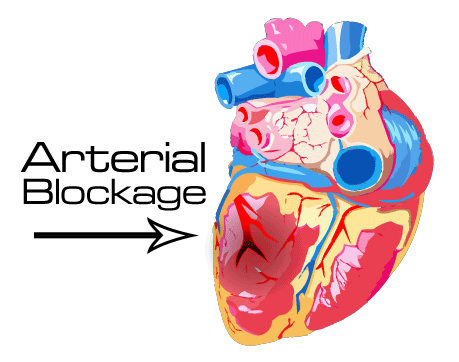 Sometimes, the damaged heart muscle may trigger an abnormal heart rhythm, leading to sudden cardiac arrest. Sudden cardiac arrest is the result of abnormal heart rhythm, which causes the heart to quiver so that it can no longer pump blood to the brain, lungs, or other organs. 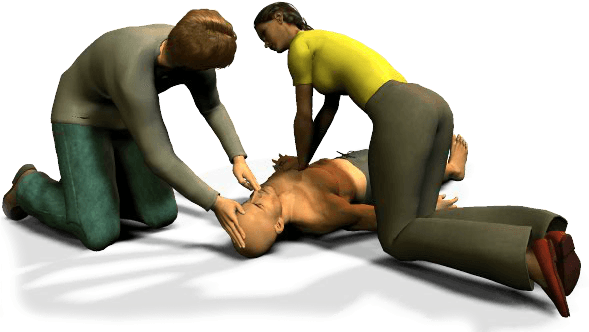 The person can become unresponsive within seconds, and may be unable to breathe, or only able to gasp. Death can occur within minutes if the victim does not receive immediate life-saving treatment. The ABC's of CPR have been modified and are now "CABD". The focus of CPR will now be on Circulation. Studies have shown that the sooner compressions are initiated the better the victim’s chance of survival. the newest guidelines emphasize giving compressions with minimal breaks for assessment and ventilations. many of the changes do not apply to professional level courses like this. Lay-Rescuers will no longer check for breathing or circulation. There have also been changes in the rate and depth of compressions. 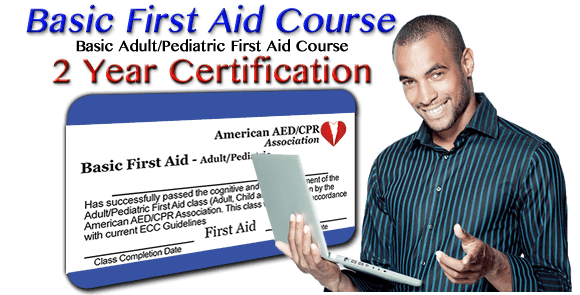 All updates are included in this Healthcare Provider level course. 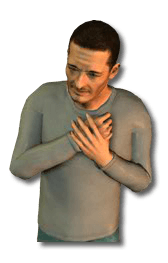 Chest Discomfort: In most cases, a person experiencing a heart attack will feel discomfort in the center of the chest that lasts more than a few minutes, or that goes away and comes back. It can feel like pain, fullness, squeezing, or an uncomfortable pressure. Discomfort in other areas: Pain or discomfort may also be present in one or both arms, the back between both shoulder blades, the neck, jaw or stomach. Other common symptoms: Other signs can include shortness of breath, cold sweat, nausea and light-headedness. If caused by a Heart Attack, these symptoms will generally last for at least several minutes. Ache in the chest, heartburn, indigestion. Discomfort in the back jaw, neck or shoulder. Pain may radiate to other parts of the body. Many people don't recognize the symptoms or deny they're having a heart attack.